How is your Saturday going? I hope you had a lovely week. Today's post is a collaboration between some of my blogger friends and we are sharing our Christmas party outfits. I made a red full midi skirt during the week and styled it for this look. I simply paired it with a white shirt and layered a black strapless dress as top over it. I completed the look with my bow pumps and red lipstick. You did an amazing job on the midi-skirt! I love the idea of layering a white shirt over a dress, I need to try that one of these days. I LOVE that skirt! I have a fetish for full midi skirts!! 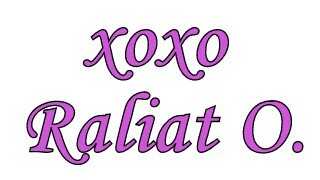 Also, Thank you Raliat! I'm so excited! I will shoot my info to you tomorrow!